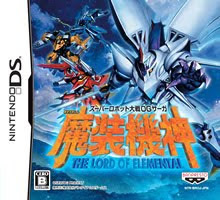 Note: Copy any of the above Super Robot Taisen OG Saga: Masou Kishin – The Lord of Elemental (Japan) rom download links and paste it into your browser to download. Rom file is not working. Tried and tested even the patched version doesn't work. Renamed the file extension to .nds and tried it on Acekard2 and I only got up to loading screen then afterwards black screen. Tested on no$gba 2.6, black screen and emulator crashes.